The four rearing houses are already in operation. Poultry equipment from Vechta in Kaduna State. Rearing house. Feeding system for breeders: the birds enjoy their meal. 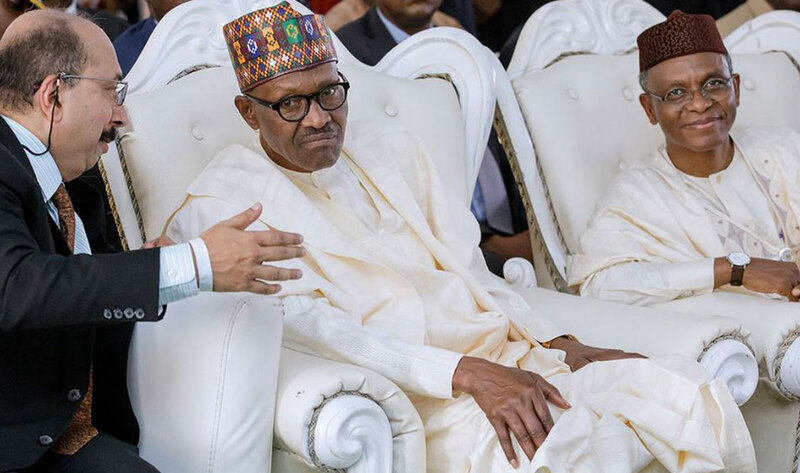 Nigeria finds itself in a dilemma: the low oil price negatively affects the second largest economy in Africa with its many natural resources, causing an economic crisis, while the population is growing rapidly at the same time. In 2016, Nigeria was estimated to have 186 million inhabitants; a figure that experts expect to rise to 264 million by 2030. To break the country’s dependence on the world market price for natural oil, the government wants to diversify the national economy. Agriculture plays an important role in this plan. There is thus cause for optimism, and national and international companies are starting to invest in agriculture. First and foremost, the goal is to supply the national market with agricultural products, and to reach self-sufficiency in the medium term. Nigeria is a country characterised by agriculture. More than 70 percent of the working population are active in the agricultural sector. However, the yield produced by the local farmers can currently not satisfy the population’s need for food, which is why Nigeria imports food for approximately USD 22 billion per year. Increasing population growth, continuing urbanisation, rising household incomes and changing eating habits are all factors that turn providing the population with food into an ambitious task. Olam International Limited (Olam) does not shy away from this challenge. The agri-business headquartered in Singapore has erected two modern feed mills, a breeder farm (broilers and layers) and a hatchery in the traditionally agricultural Kaduna State in the North of Nigeria. Olam brought Big Dutchman into the project to equip the 32 breeder houses (production of hatching eggs and rearing). The plan is for the farm to produce one million hatching eggs per week for the company’s hatchery. Nigerias president Muhammadu Buhari inaugurated the ambitious project in September 2017. A local, hand-picked team assembled the original project. “We have had an office with warehouse in Lagos since 2015, which was an important step in meeting the demand for modern and robust poultry equipment as quickly as possible,” said Thomas Veith, Sales Director for Big Dutchman, explaining the poultry equipment supplier’s presence in Lagos. 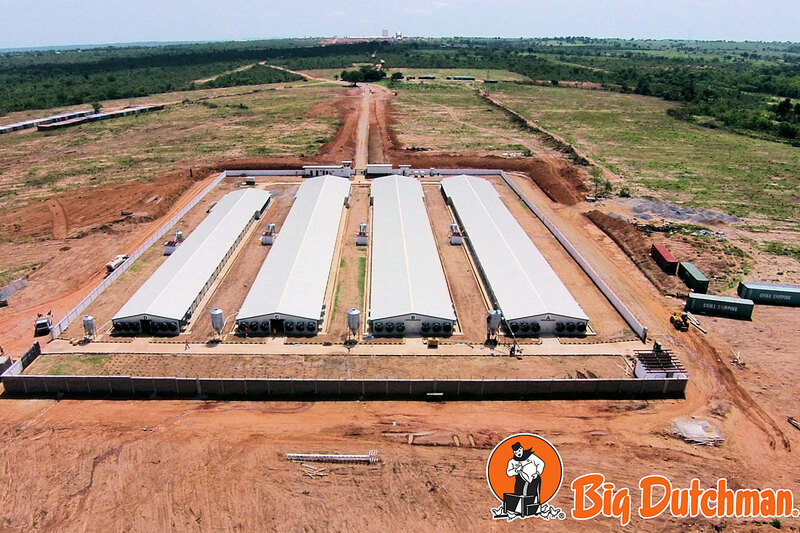 BD Agriculture Nigeria Ltd. guarantees that Big Dutchman can be much closer to Nigeria’s poultry farmers for consulting and planning as if the support would come from Germany. Elmar Dorenkamp, director of the office in Nigeria, added that apart from spare parts procurement, BD Agriculture Nigeria also offers a wide range of other services. Traditionally, this includes training of farm staff, for which the Big Dutchman employees use their know-how directly on site. The team’s knowledge extends to all areas of poultry production, including key production and climate questions, and also covers breeder management, egg production and poultry growing. The state-of-the-art Big Dutchman technology installed in Kaduna State uses highly-automated workflows. 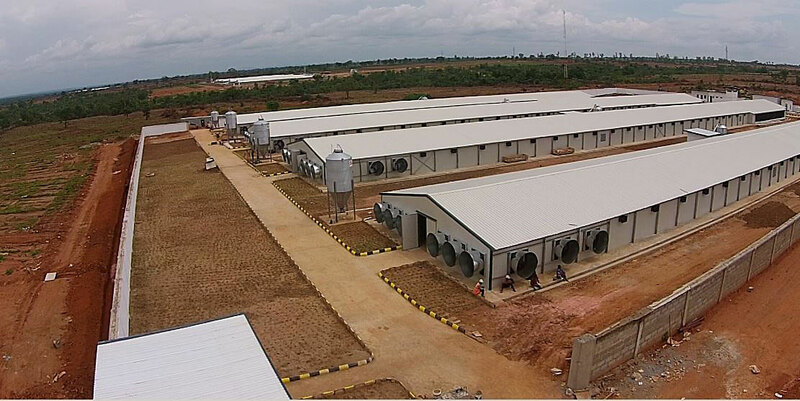 The farm is therefore one of Nigeria’s most modern poultry production sites. “Healthy birds are a prerequisite for the production of vigorous chicks,” reasons Dorenkamp. Housing concept, poultry equipment and expert knowledge must thus coordinate well. In addition to the farm manager’s and farm staff’s management skills, the equipment also plays an important role. All Big Dutchman products, detail improvements and solutions are developed to create an ideal environment for the birds. This also applies to feeding and drinking systems, nests and climate solutions as well as to the barn’s control system. “Our engineers have decided not to use any wood in the nests, for instance. Instead, our nests are made of plastic materials and stainless steel. An example would be the Relax nest, which is installed in the barns in Kaduna State,” explains Veith. Plastic and stainless steel have a much longer service life and can also be cleaned very thoroughly – an efficient method for killing germs. Labour efficiency is another important factor for Big Dutchman, and the reason why the Relax nest has a divided roof with easy-to-open parts. This design makes daily work much easier because monitoring both the nest and the egg belt is a simple task with two roof parts. Poultry reacts very sensitively to the climate in the barn. The correct mixture of temperature and ventilation is therefore an important factor for success in breeder management, whether in Siberia or the tropical climate of Kaduna State. Olam International decided to use the CombiTunnel ventilation principle in its rearing houses. 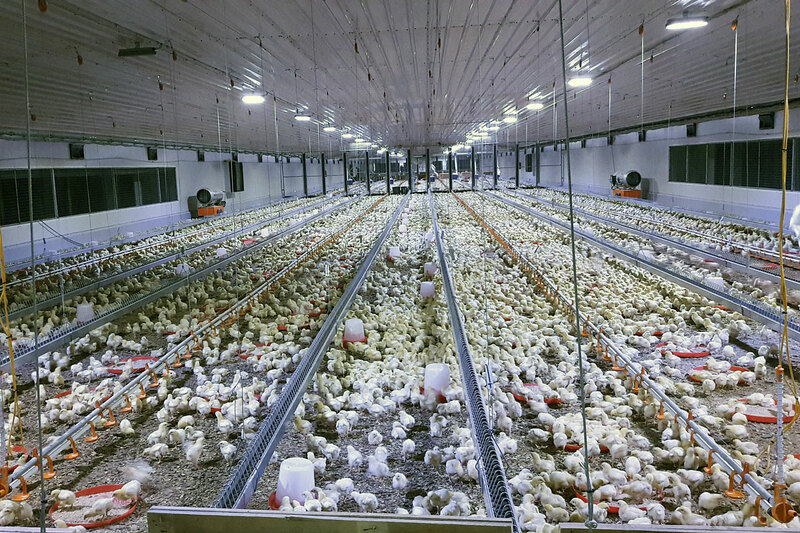 The egg production houses are ventilated with a tunnel system. 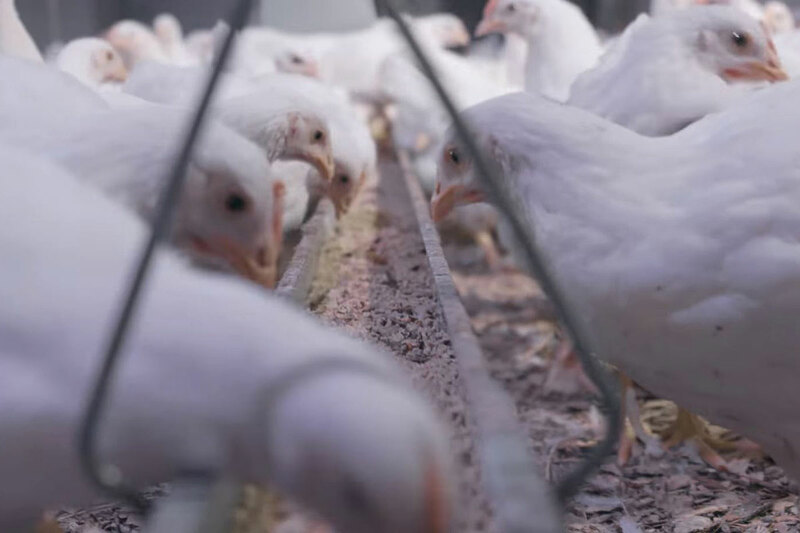 These systems ensure the ideal climate at all times – day and night and year-round – so the birds use their full genetic potential and convert the feed well. The Viper climate computer is responsible for controlling and monitoring. All barns are equipped with the LED lighting system Zeus. Zeus guarantees significant energy savings and is also the world’s first LED panel light that can be repaired. Because of the modular design of Zeus, replacing individual parts of the lamp is incredibly easy and, moreover, very cost-efficient. Poultry Growing: An extensive overview of the Big Dutchman product range for breeder management can be found here. Egg production: An extensive overview of the Big Dutchman product range for breeder management can be found here. Poultry growing: Please do not hesitate to contact us if you have any questions. Click here! Egg production: Please do not hesitate to contact us if you have any questions. Click here! An entertaining video provides more information about this and other investments Olam has made in Nigeria.